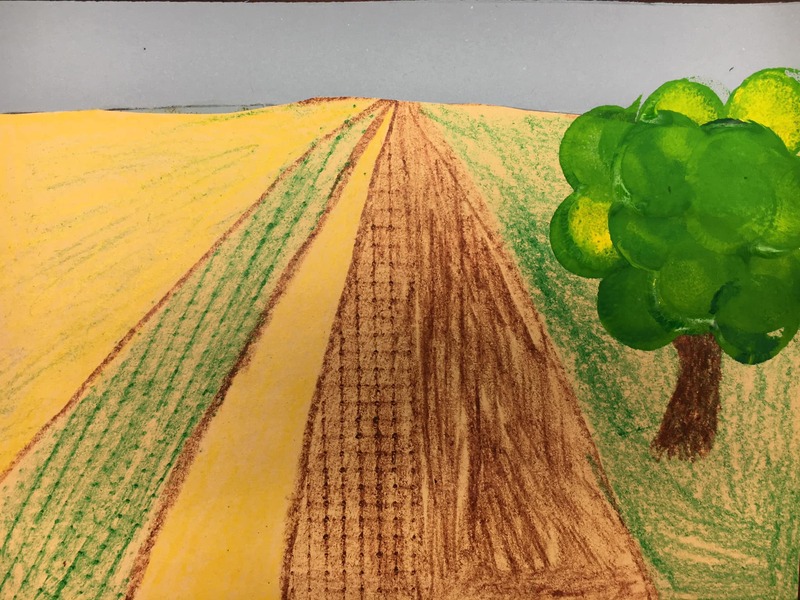 Wood’s American Gothic painting of two Iowa farmers is one of the most recognized and parodied masterpieces of American art. 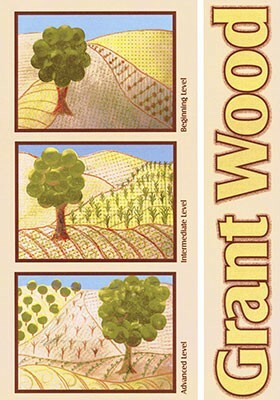 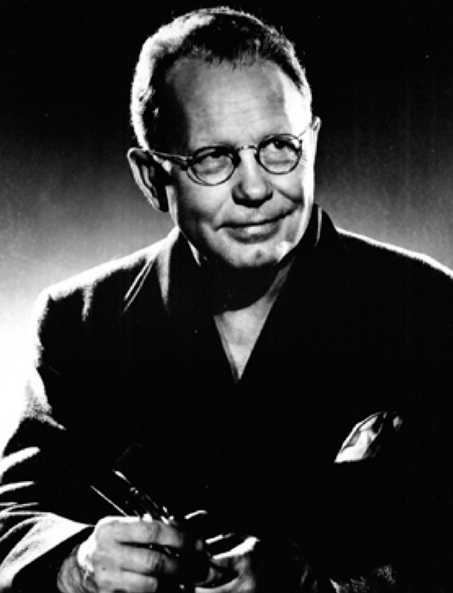 Our students know all about the distinctive portraits and landscapes of Regionalist Grant Wood. 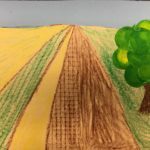 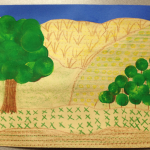 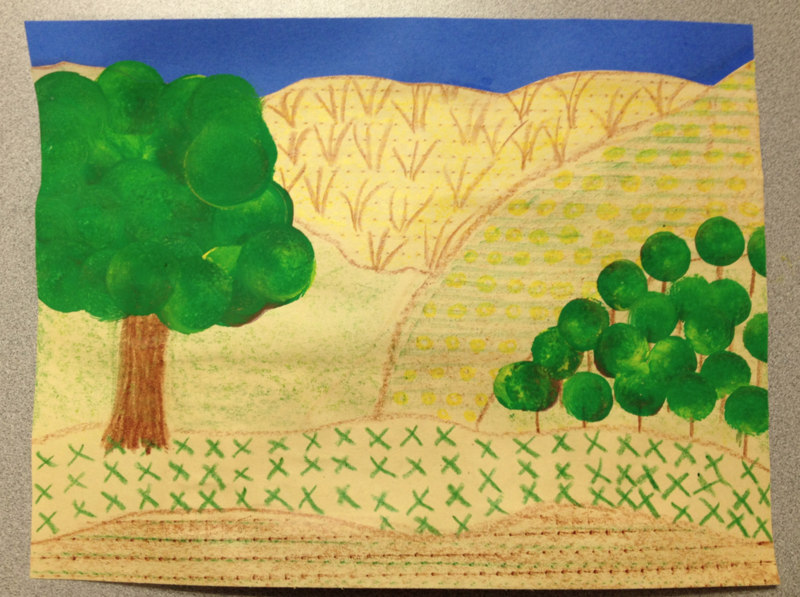 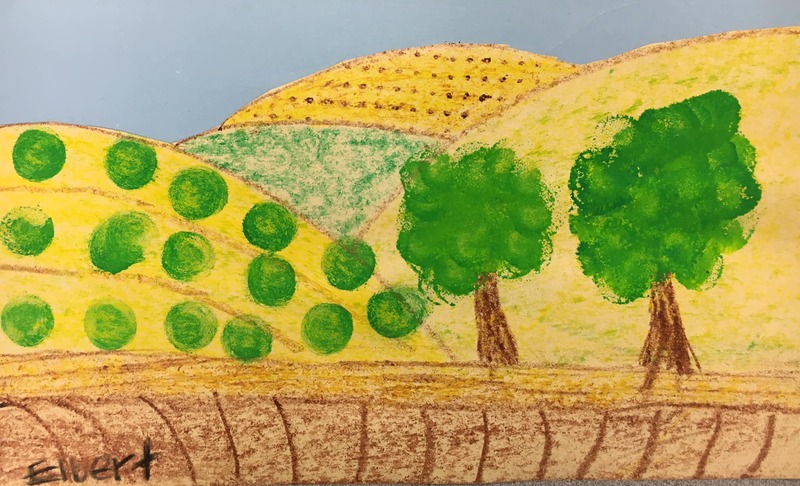 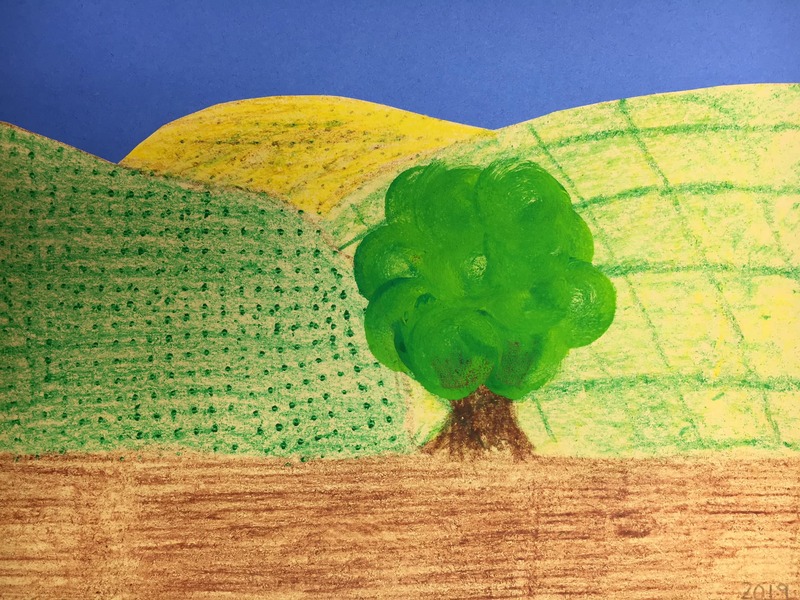 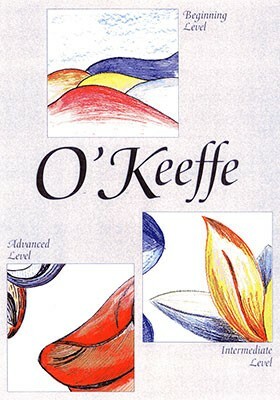 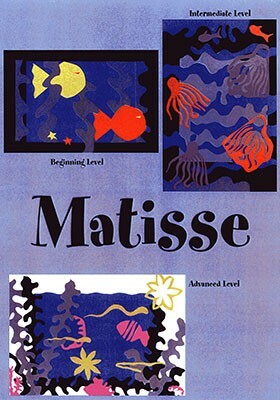 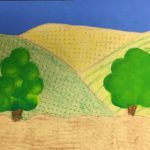 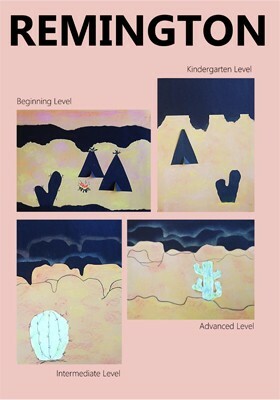 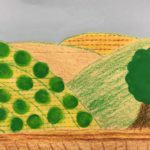 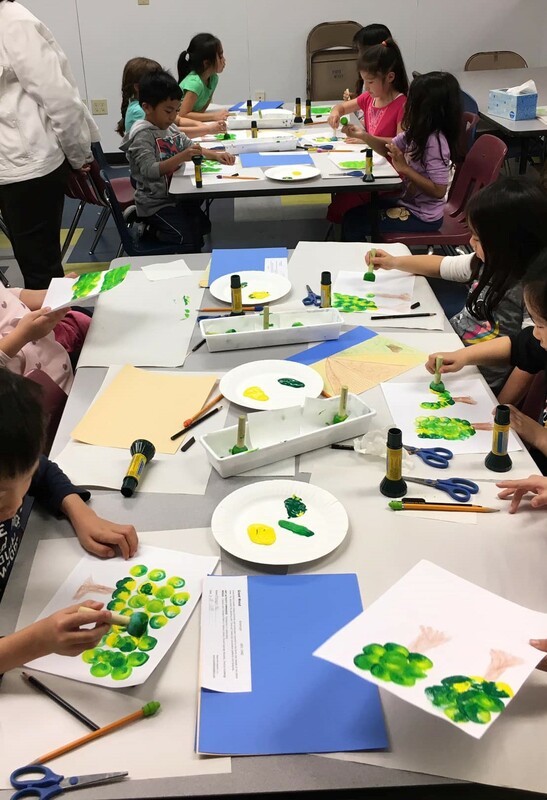 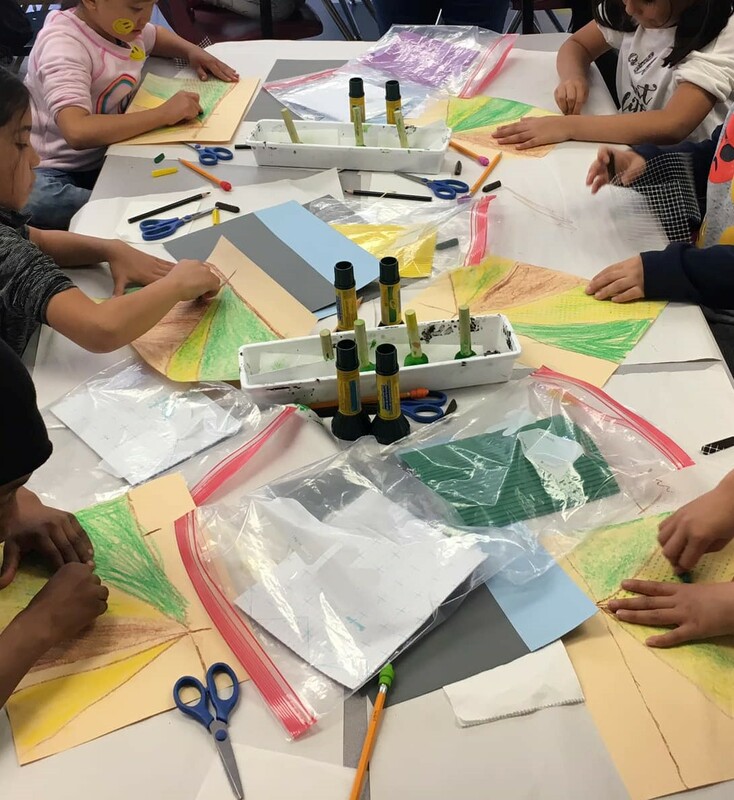 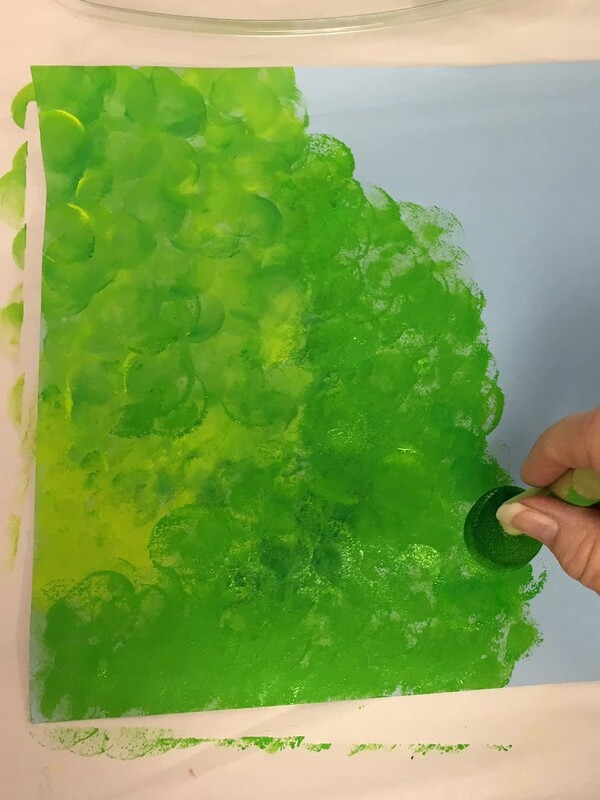 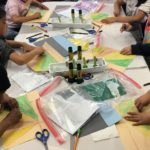 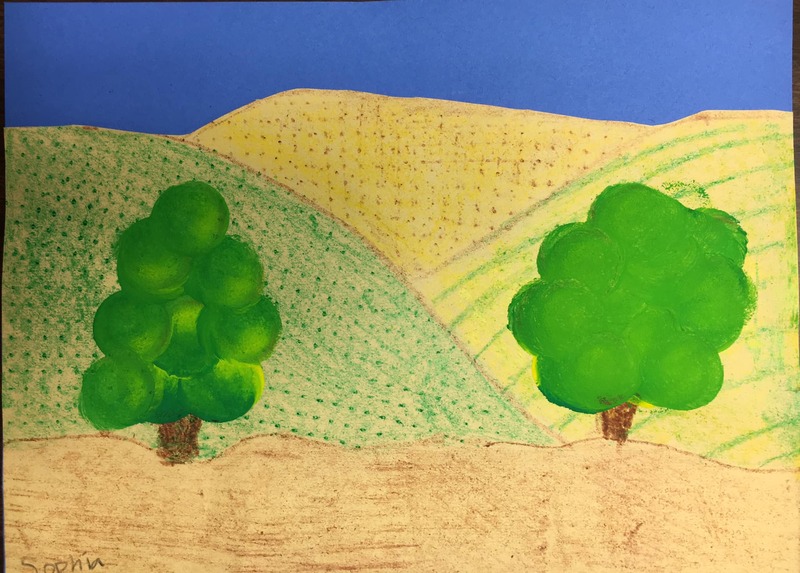 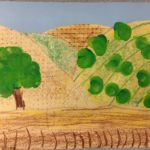 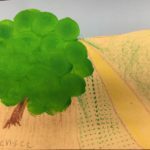 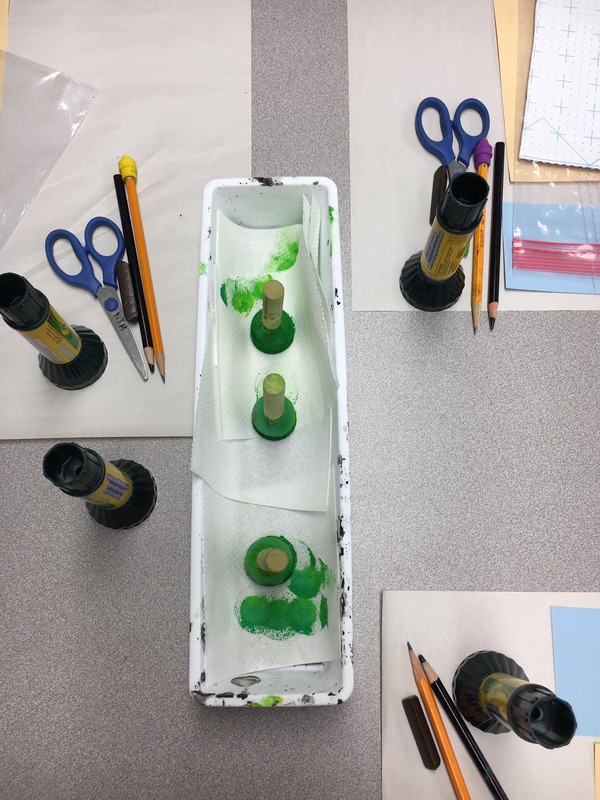 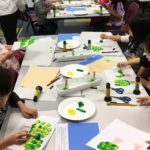 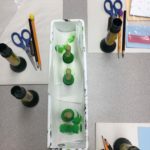 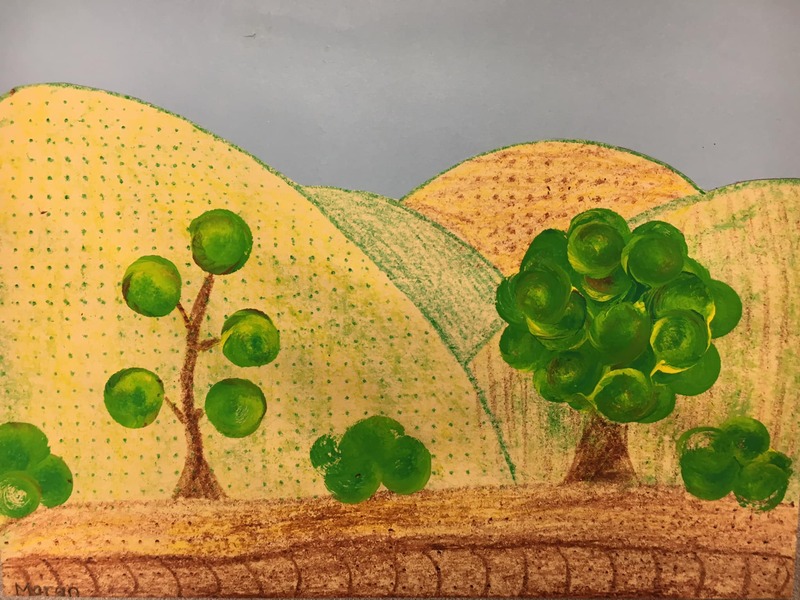 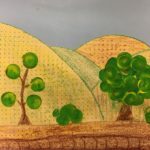 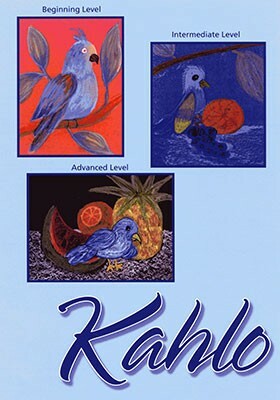 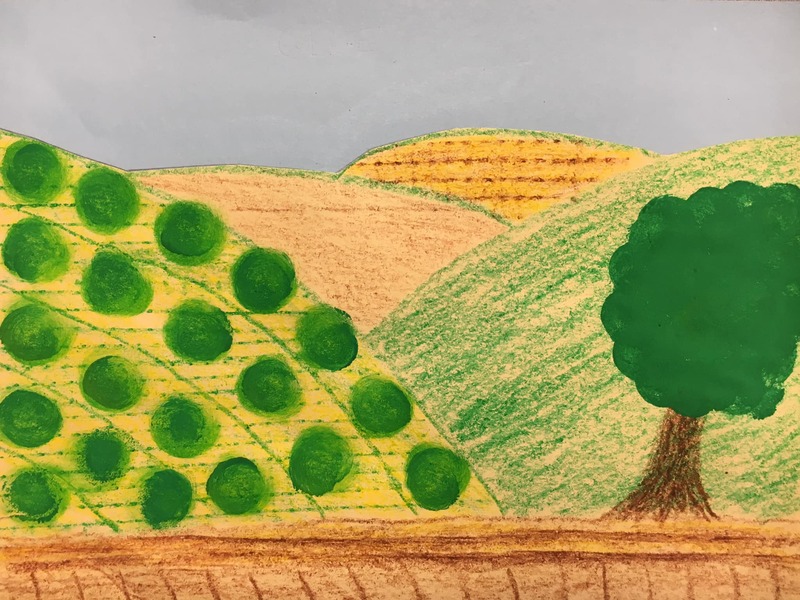 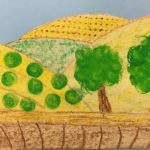 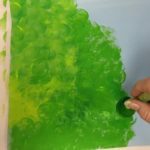 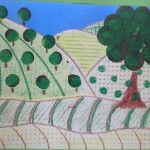 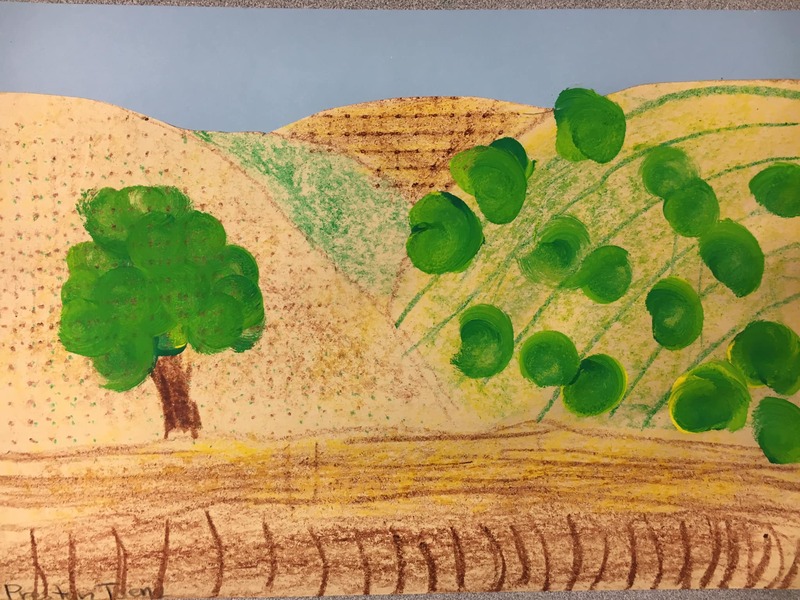 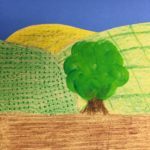 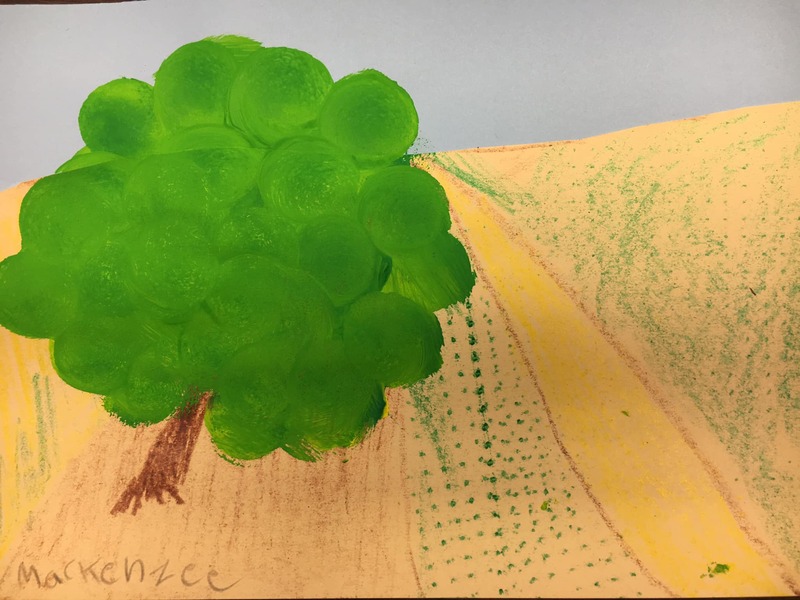 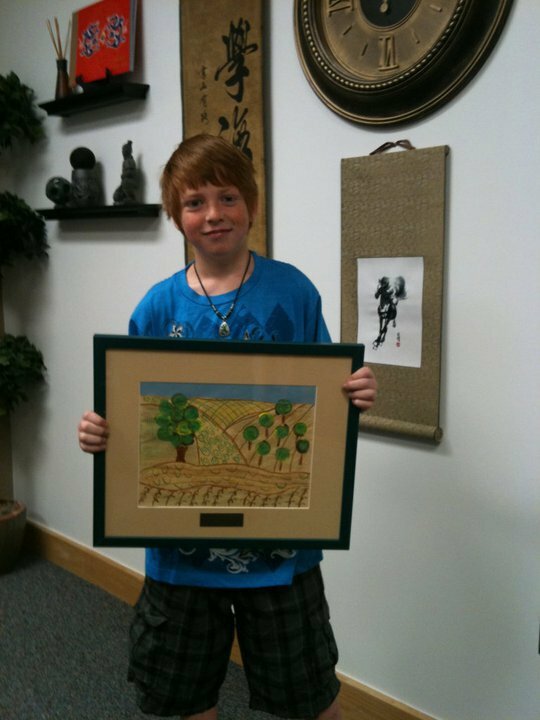 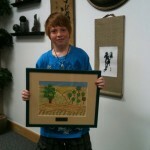 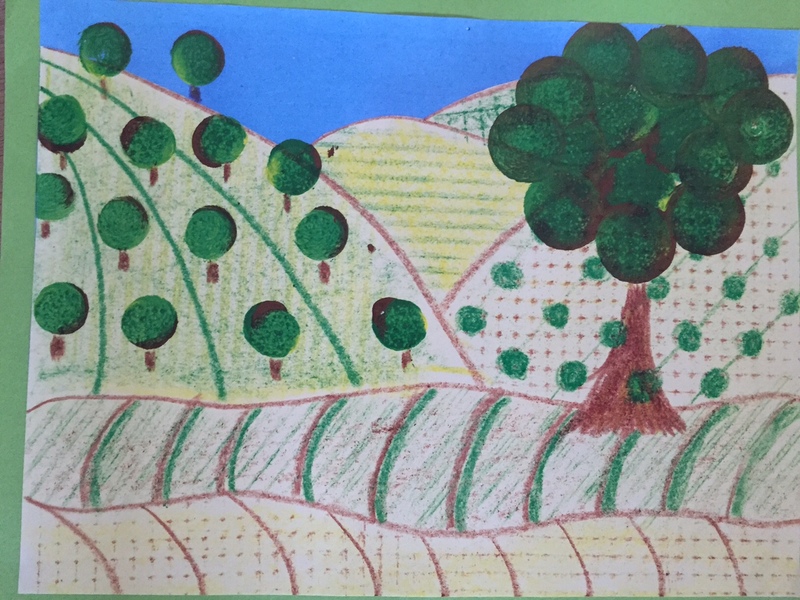 His local landscapes inspire the young artists to create their own farm landscapes with textures and patterns using fun materials in a new way.